Bombay Lentils are slow-cooked with tomatoes, onions, and hints of ginger, chilies, and mango for subtle sweetness. 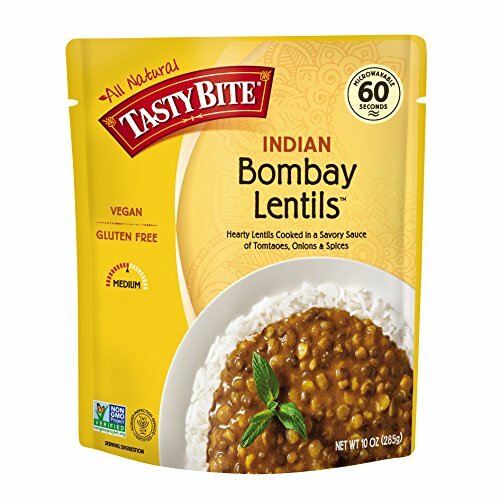 Serve alone with naan or roti as an appetizer, or serve over rice for a delicious Vegan and Gluten-Free main course.BOLD SPICES: Tasty Bite’s Bombay Lentils Indian Entrée is a quick and delicious way to bring bold, Indian spices to your dinner table. 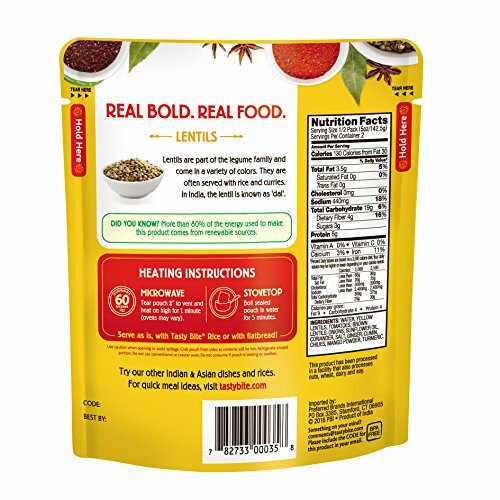 Bombay Lentils are slow-cooked with tomatoes, onions, and hints of ginger, chilies, and mango for subtle sweetness. EASY AND DELICIOUS: Tasty Bite’s Indian Entrees make it easier than ever to have the delicious flavors of Indian curries, sauces and stews in no time at all. Toss the packet into the microwave for 60 seconds then enjoy your delicious, spice-balanced meal. ANCIENT TRADITIONS, EASY MEALS: Flavorful Indian recipes have evolved over thousands of years. We’ve taken this wisdom and sealed it in a convenient package. 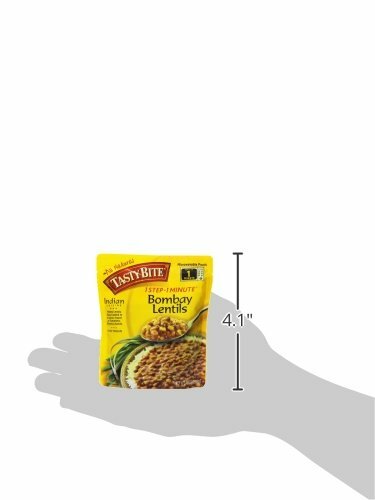 Our fresh vegetable and lentil Entrées deliver you centuries of taste in less than 60 seconds. FAST, FLAVORFUL, ALL NATURAL: For close to 25 years, Tasty Bite has been making fast, flavorful and all natural ethnic food – including entrees, sauces and rices – to delight consumers, with a focus on supporting local farms and protecting the environment.